On 21st April 2011 the five Jennifer Burke Award finalists were invited to showcase their innovations in the Helix Gallery, DCU. 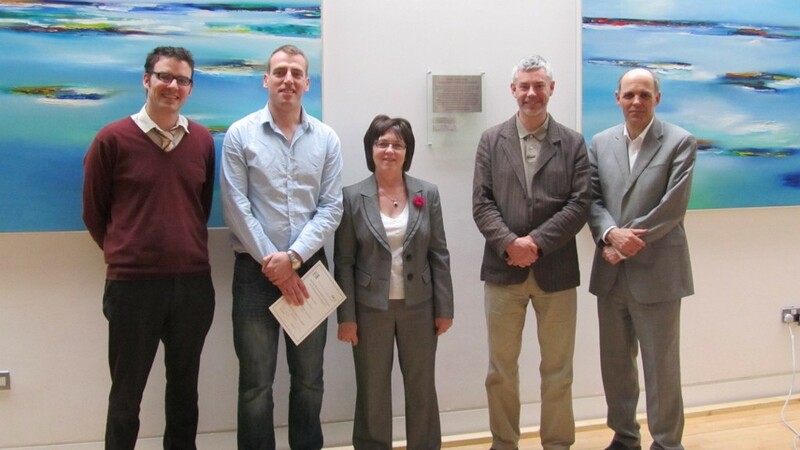 The panel comprised: Muiris O’Connor (HEA); Sheila Porter (Intel); and John O’Connor (DIT) and Barry McMullin (DCU). After much deliberation the panel decided to present the 2011 to Dr Micheal Seery (DIT). The award was made to recognise Michael’s work in incorporating e-learning into his teaching, and specifically for developing online pre-lecture resources to support first year students’ learning – especially those coming to third level without prior knowledge of chemistry. The work was completed as part of a College of Sciences and Health Teaching Fellowship and is part of a larger body of work in supporting first year learners in the School of Chemical and Pharmaceutical Sciences being carried out by Michael and Dr Claire Mc Donnell of the Chemistry Education Research Team and Dr Roisin Donnelly of the DIT Learning Teaching and Technology Centre. The award was formally presented on 1st June at the EdTech 2011 Conference.